One of the girls from the SCAL FB groups wanted to know how to create the Knockout Effect using more than one image. I prepared this tutorial for her. 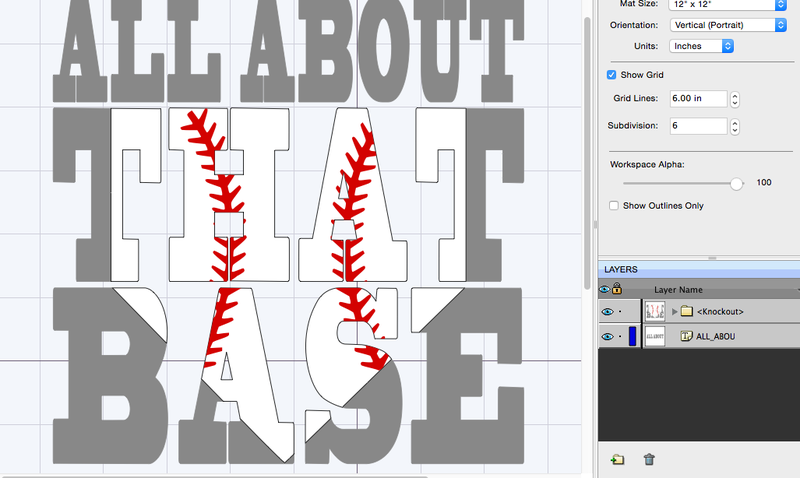 Using the Type Tool – Type out the text “ALL ABOUT.” I’m using the BlackoakSTD font. Type out the text “THAT BASE” resize to 7.414 (same width as my ALL ABOUT text) for the width, keeping the Keep Proportions unchecked. 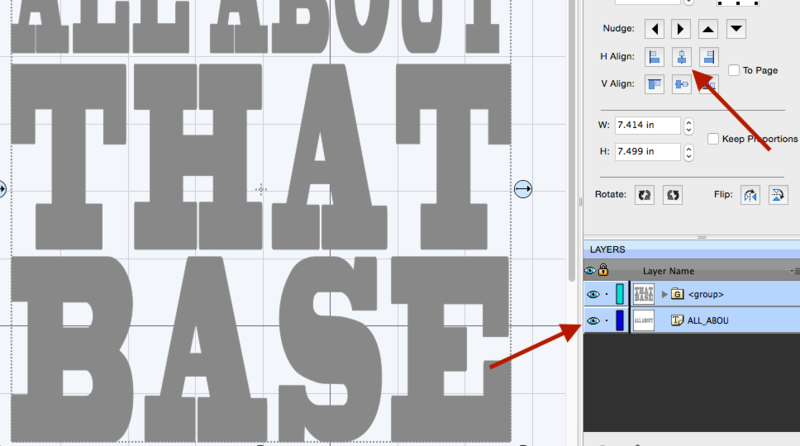 Using the center Selection Handle extend the text down on your mat. Extend it to your liking. Now, you’ll notice there is a gap between THAT and BASE. Click on the Text Properties Window and adjust the Leading. I adjusted mine to 0.42 in. The word BASE is not the same width as THAT so we need to fix it. Go to Object – Ungroup – draw a box around the word THAT – Object – Group. Do the same for BASE. I’m going to change the width of the BASE text to 7.414. Select both the THAT and BASE text – go to Object – Group. Select all text and Align Horizontally to the Middle. Next, hide and lock the ALL ABOUT layer, you can do that by clicking on the Eye to Hide and clicking on the space between the layer color and eye to Lock it. 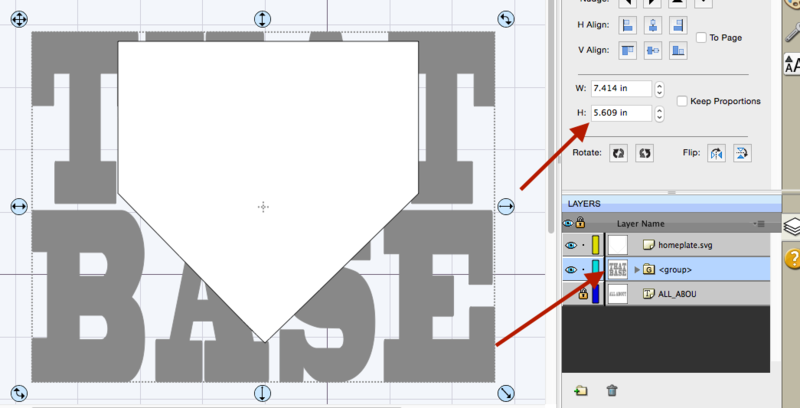 Import the home plate SVG and place it on the mat – take note of the text height and adjust the height of the home plate to the same size. Check the Keep Proportions. Select all and Align Horizontally to the Middle. 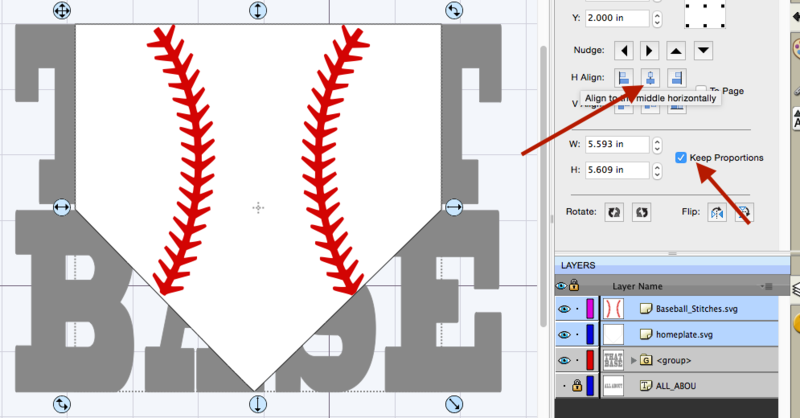 Next, Import the baseball stitches – Check Keep Proportions – resize the stitches so they line up with the edges of the home plate – Select the stitches and the home plate and Align Horizontally to the Middle. 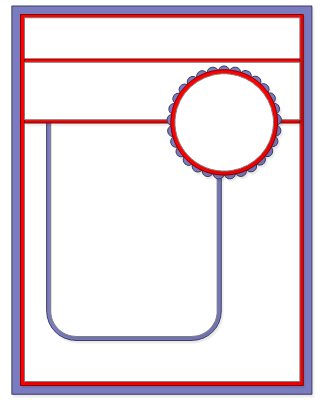 Select the home plate and the stitches – Object – Group. 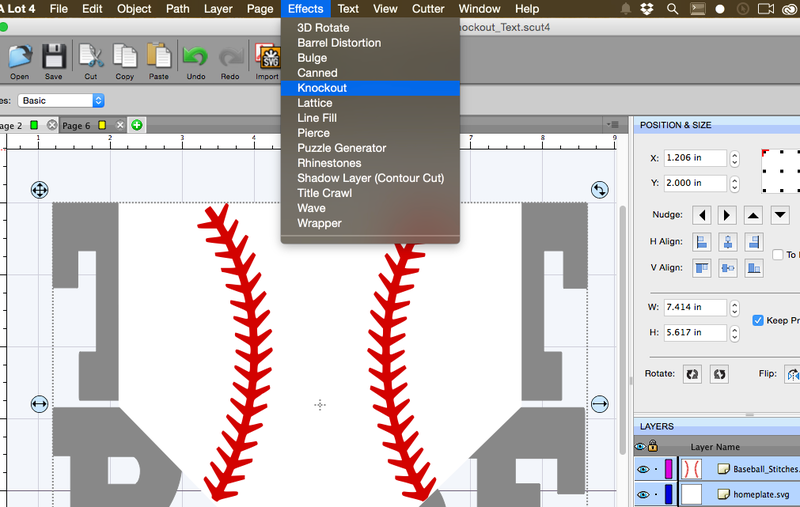 Select All – Effects – Knockout. Now Unhide the ALL ABOUT layer. There is your completed Baseball Knockout text. I hope you enjoyed this tutorial, download the files used and PDF for the tutorial. Another GREAT tutorial as Rob@scrappydew would say. Thanks for doing it! Is there a version of this for the Cricut?? Thanks so much. I have been trying to find this everywhere , i have a cameo and Im wanting to make me one these. DOES ANYONE know where I might be able to find this? Hi April, are you looking for a file to cut, or a tutorial for the Sil Software?